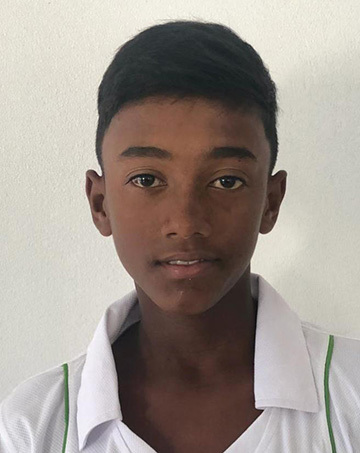 Rampertab Ramnauth showed his class with a century that led Guyana to a six-wicket victory over Jamaica in the first round of the Cricket West Indies Regional Under-15 tournament yesterday in Antigua. Guyana won the toss and sent Jamaica in to bat at Ball Beef Liberta and they managed 243-8 from their allotted overs. In reply, Guyana reached 244-4 in 45.4 overs. Ramnauth’s 134-ball 114 consisted of 14 boundaries and he shared in an opening stand of 128 with Jaden Campbell who made 47 from 45 balls with four boundaries…..